If you have, thank you for visiting our dealership. We hope your experience was a positive one and we would greatly appreciate you taking a moment to share your feedback atCars.com/DealerReviews. Writing a review is quick & easy! And now you could win a $100 Visa® Reward Card in the Cars.com "Review & Win" weekly drawing for your review. As always, our goal is total customer satisfaction. If for any reason, you were not totally satisfied with your experience, please contact us immediately viafeedback@heiser.com. Warmest Wishes, Mary Ann View the Cars.com "Review & Win" Sweepstakes official rules. When you visit the sales department at Heiser Chevrolet Cadillac, you are sure to meet our veteran Used Car Manager, Bob Felder. This month we recognize him for his dedication to both the Chevrolet & Cadillac brands as well as great customer service at Heiser. 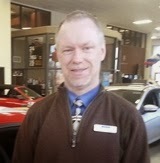 Bob joined the Heiser team 1984 as a lot attendant and has been the Heiser Chevrolet Cadillac Used Car Manager since 2011. He has held several roles within the Heiser Automotive Group and has enjoyed the many customers he has meet along the way. Customers and colleagues alike describe him as a people person and clearly a family man. He often goes out of his way to say “Hi” to customers when they come in for service. And his family even comes in for the occasional visit while he is at work. 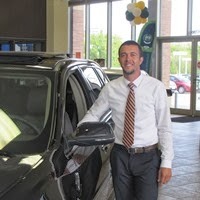 Heiser Chevrolet is excited to have Used Car Manager Jeff Wenzen as the newest member of their team. Jeff is a seasoned veteran of our automotive group family. He started his Heiser career as a Finance Manager, and was promoted to Used Car Manager at Heiser Ford Lincoln. When asked about the move from a Ford to a Chevrolet dealership, Jeff said it has been a smooth transition. He enjoys selling domestic vehicles and believes that driving an American-made product is the only way to go.Advances in technology have affected all vehicles, not just foreign entries. 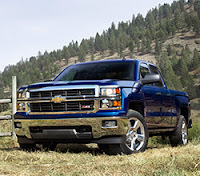 “I enjoy working with both Chevrolet and Ford customers,” said Jeff. “Driving domestic vehicles these days can be just as luxurious as other products. The Detroit automotive manufacturers have really made their vehicles into efficient, comfortable and safe vehicles. The have upped the standard of excellence in today’s automotive marketplace,” he continued.